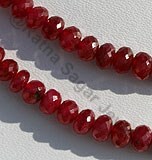 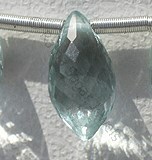 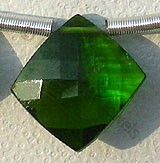 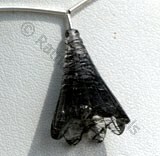 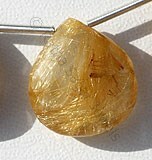 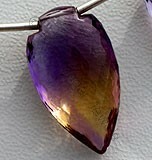 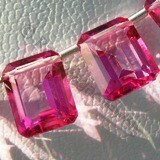 Grossular is the most varicolored of all the garnets that have ever been found to decorate women for years. 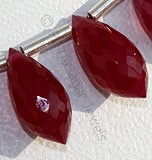 The term Garnet of Grossular Garnet describes a group name for several closely related minerals that form important gemstones, and Grossular is an individual member mineral of the Garnet group. 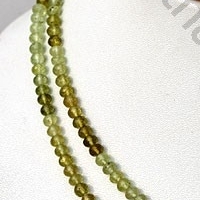 Derived from the Latin word gooseberries due to its resemblance to color of berries, history of Grossular Garnet Beads dates back to ancient civilization where it was believed that existence of this gemstone existed thousand years back. 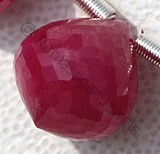 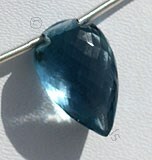 These gemstones are also referred as growth crystal and could be witnessed in variety of color varying from red, yellow, green, exceptional pink and cinnamon brown. 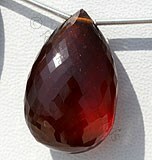 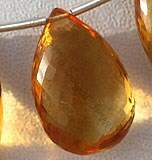 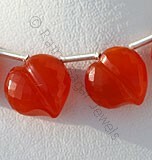 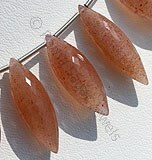 The most commonly found Grossular is known as hessonite which is derived from Greek work referring to inferior. 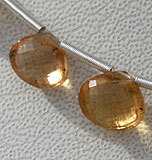 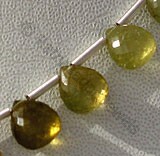 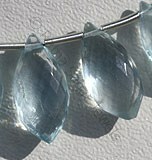 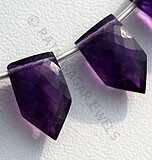 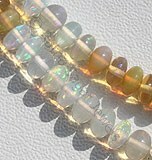 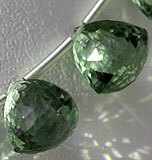 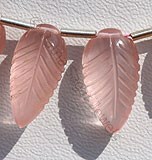 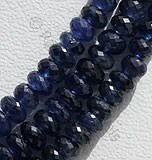 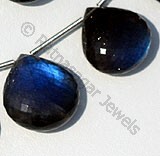 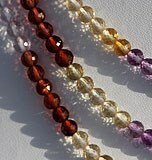 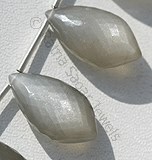 Normally these beads are found in Siberia, Kenya, and Tanzania. 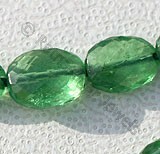 It would be interested to know that like other gemstones Grossular Gemstone beads there are various folklores and myths associated with this Grossular Gemstone Beads. 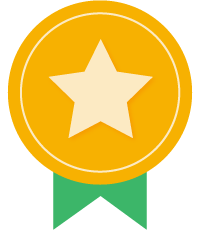 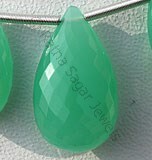 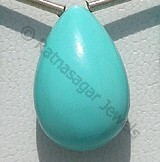 Ratna Sagar Jewels has an expert team of skilled artisans who have more than twenty years of experience in the field of fashion gemstone beads. 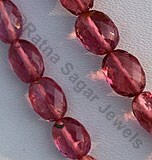 Order you first Grossular garnet gemstone beads from the online store of Ratna Sagar Jewels and add the color of Grossular Garnet to your life. 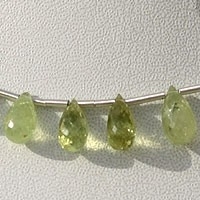 Natural Grossular Garnet Gemstone Beads possess property of Transparent with natural veins and are available in yellowish green with micro cut, Flat Pear Shape. 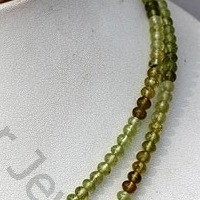 Natural Grossular Garnet Gemstone Beads possess property of Transparent with natural veins and are available in yellowish green with long rice cut, Dew Drops Shape. 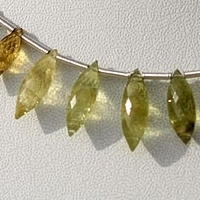 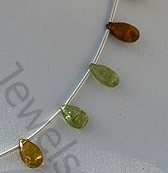 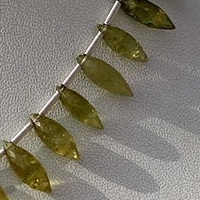 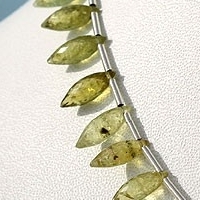 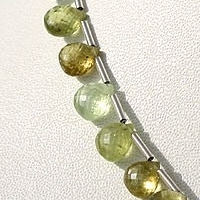 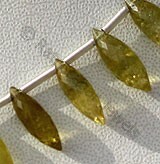 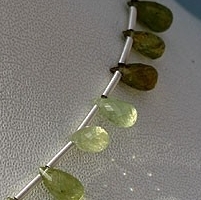 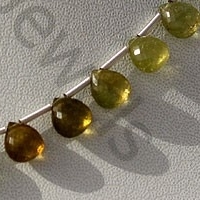 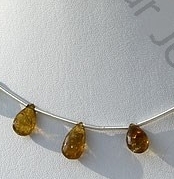 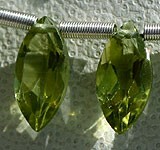 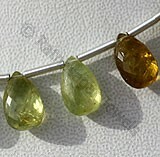 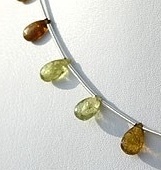 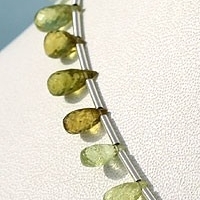 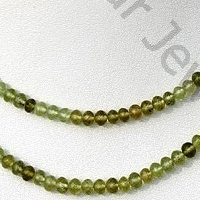 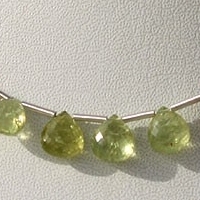 Natural Grossular Garnet Gemstone Beads possess property of Transparent with natural veins and are available in yellowish green with micro cut, Tear Drop Shape.